Zombie films... like the undead hordes themselves there's a lot of 'em out there, thousands of titles and hundreds more appear every year, big budget, low budget and no-budget undead films are released in great numbers every year with few displaying any distinguishing characteristics of note. While their numbers are legion it's a genre that's not exactly brimming with original ideas, most are variations on the pre-Romero voodoo zombies or the contaminated undead by way of Trioxin or whatnot, the infected or the supernaturally possessed. Not that I'm complaining just saying there's not a lot new under the sun, y'know? 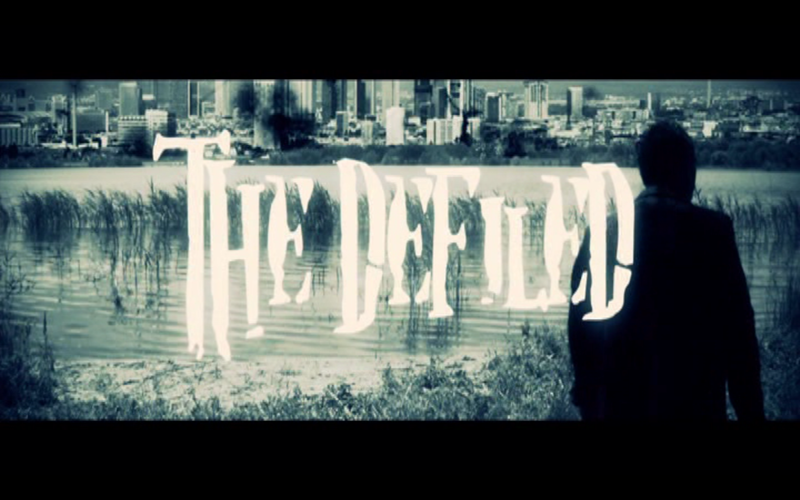 Then came along a screener of director Julian Grant's micro-budgeted zombie epic THE DEFILED from Chemical Burn Entertainment, a film short on funds but rich in concept. At first glance I was not expecting much, the synopsis sounded like pretentious arthouse baloney but I gave it a spin and I gotta say I really dug this film. It takes place in post apocalyptic world where a virus is mutating people into mindless cannibals, high functioning zombies with a taste for human flesh. Wait, that's not original at all, right? Well, the film follows the exploits of an infected man named Yar (Brian Shaw). He's just trying to survive the apocalypse as best he can, coping with being infected, all the while trying provide for his infected family; a son, daughter and wife who's swollen with child. Through circumstances he's left to care for his newborn while on the run from roving bands of the uninfected who seem to be clearing the area of the infected. Yar is fighting his urges to consume human flesh, you see him crave it but he limits himself to bird eggs and animal flesh which he chews into soft bits and feeds to his newborn. His goodness is not just limited to abstaining from the eating of human flesh either, he's a compassionate man, and rescues an uninfected woman named Janice from other less friendly flesh-starved infected. She joins him for the remainder of his journey, apparently indebted by his kind act and we are along for the ride till it comes to it's bitter conclusion, that's all I'm giving away. I think this is a film that deserves some serious attention. 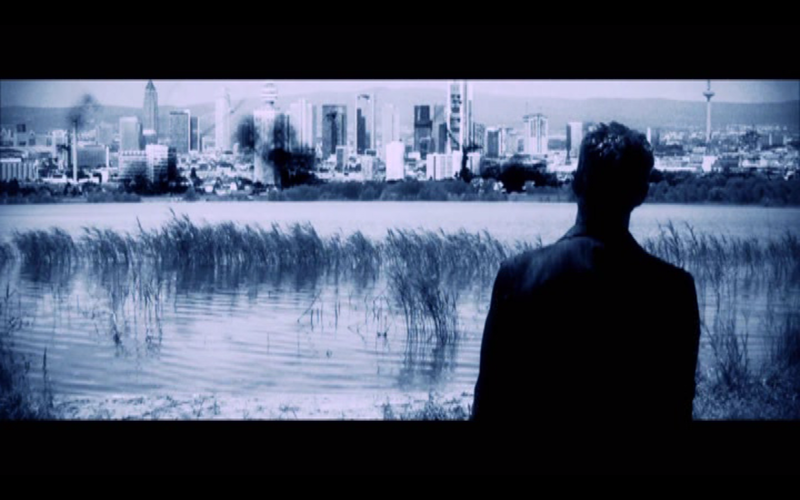 It's an audacious premise, sure it's a bit arty but not film school pretentious arty. In the year 2011 for someone to not only attempt a nearly silent, non-verbal, black and white zombie film from the perspective of the infected, but to actually pull it off is pretty ballsy. It's an eerie flick with atmosphere to spare that's enhanced by David Findley's haunting score. 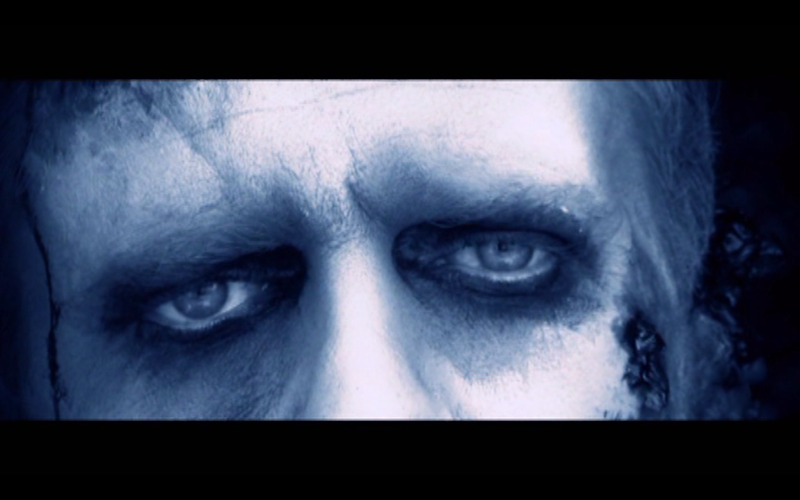 What really sold the film for me was the outstanding mimed performance from Brian Shaw as Yar, what he is able to convey through pained facial expressions and soulful eyes is pretty spectacular, he's the Marcel Marceau of the zombie-set, the film's entire narrative is expressed wordlessly with only non-verbal grunts and physical action, great stuff. There's blood, goo and guts and it has a decidedly NIGHT OF THE LIVING DEAD feel to it, it's not a gorefest but it's effective. The film's only drawback for me was what I felt to be an excessive run time of 100 minutes. There are a few scenes that languor a bit, they're not ruinous, and may actually enhance the creepy dream like quality of the film, but some judicious editing could easily have excised 10-15 minutes here without detracting from the film. 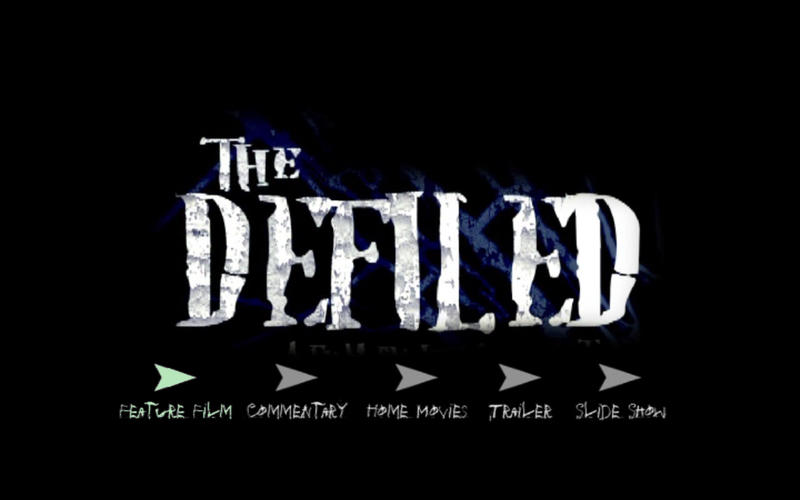 DVD: THE DEFILED is presented in anamorphic widescreen in blue-tinted black and white with Dolby Digital stereo audio, no subtitle options. 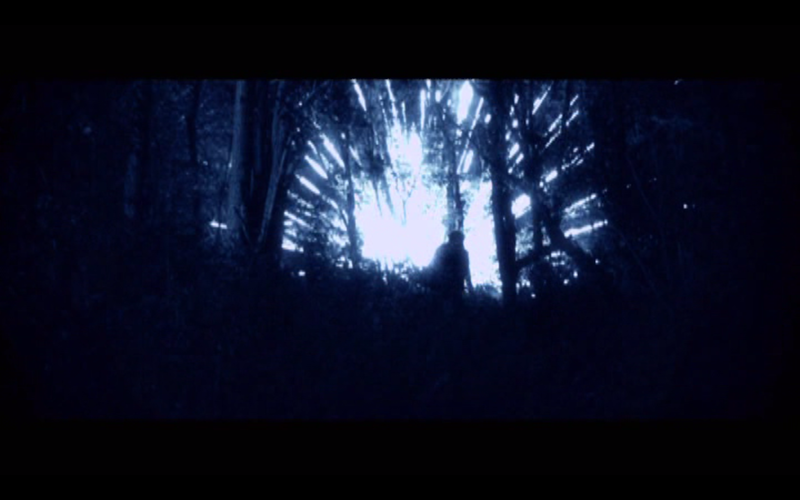 There is a brief red/orange tinted color sequence during the "birthing", but other than that it's blue-ish black and white. The films is low-budget but looks decent, it's eerie and harkens back to George A. Romero's NIGHT OF THE LIVING DEAD (1968) and Herek Harvey's CARNIVAL OF SOULS (1962), films that definitely were inspirations for the filmmakers. The film lacks definition though, it's pretty soft throughout. The stereo audio adequately resolves the film's non-verbal grunting, effects and David Findley's evocative score. Special features include an audio commentary with the director Julian Grant and actors Kathleen Lawlor and Brian Shaw, it's casual and informative. There's also Home Movie (1:22) which seems to be an on-camera make-up tests, an anamorphic widescreen Trailer (1:40) plus a Slide Slow consisting of 17 promo stills from the film set to the filmscore. - Audio Commentary with Director Julian Grant and Actors Kathleen Lawlor and Brian Shaw.